I am excited to introduce a twelve-month program of studying shamanism for women. As I have been teaching shamanism around the region, there has been an eagerness and a desire for reconnecting to nature, spirit and our soul’s purpose. It is through the creation of Spirit Flow that I offer you a program that allows you to dive deep and explore who you truly are in this life. It is with great intention and excitement that I am offering Spirit Flow to you. Shamanism helps you deepen your understanding of your soul’s purpose and your authentic service to the world. The practices and techniques of shamanism allow us to examine our lives, to commit to serve spirit and to make a difference in the world. Spirit Flow will meet every other month for a daylong shamanic deep dive class (two of those meetings will be over two days so we can go even deeper into our studies). The day will be filled with ceremony, journeying and learning new shamanic concepts and techniques you can use in your life. The months we do not meet face-to-face we will connect via Zoom Video conferencing (will be recorded) so we can stay connected. This group is perfect for women who are new to shamanism as well as those with experience. Cost: 149 dollars per month (options to pay quarterly or the full amount are available) This program’s full value is over 3,080 dollars, by signing up for Spirit Flow you are saving 1,292 dollars. How to sign up: To start the process you must fill out an application. Request an application in the “Book a Session Section” of my website or email me at Mary@ZenithHigh.com and I will send you an application. Space is very limited request an application today! You will work closely with your ancestors and other compassionate spirits as you develop a strong awareness of how you can best serve the world. You will learn authentic shamanic techniques that will help you lead a powerful, joyful and healthy life. You will develop abilities to communicate with your guiding spirits and to understand their messages to you, strengthening your capabilities to process and interpret their messages to you. You will develop a strong connection to the spirit of the land, trees, and the elements to build your own spiritual strength. You will learn techniques to heal yourself, family, friends, and the world. Contact me directly with any questions or to request full details of the program and an application. You can call or text me at 952-913-5574 or email me. The total value of this program, if you purchased everything on its own would be 3,080. By joining Spirit Flow you are saving 1,292 dollars! While seeking a spirituality that fit my soul, I found shamanism. It drew me in because of the connection to nature and the belief of the interconnectedness of the world around us. I took my first shamanic journey in 1991, after working in-depth with my spirit guide Zenith for over a decade before that. I have studied with shamanic teachers here in the USA for over twenty years, and I have been working and learning from indigenous shamans in Peru for the last five years. I return to the jungles of Peru every summer to gain deeper insight and knowledge in how I can better assist others. I have a Ph.D. in Psychology along with an Integrative Wellness Coaching Certificate that gives me a unique approach to helping you along your shamanic path. Spirit has told me that my life purpose is to share shamanism to people that are called to it, in easy to understand terms and help them apply it in the modern world. My background is extensive in helping people travel to different shamanic dimensions and teaching them how to apply shamanic techniques in our modern world. I have been told that I present shamanic material in a simple but sophisticated way that makes shamanism accessible for everyone. I believe that my combination of traditional education with the hands-on shamanic instruction will give you a clear and understandable experience in shamanism. We will study, practice, discuss and apply shamanic techniques in a warm and welcoming environment with twelve other committed women. Please join me on this adventure. 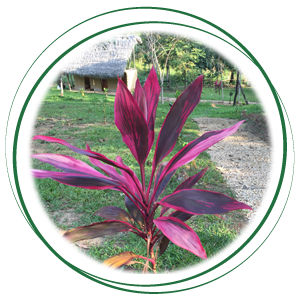 Traditional Cacao in it pure form, sourced from Guatemala, is a powerful heart opener, increasing blood flow by 30-40 percent with a 2-ounce ceremonial dose. It increases focus so that shamanic journeying and mediation are more accessible. It is a supportive and gentle energy, that allows an individual to reach heighten states of awareness. It opens the heart chakra and therefore the heart to unconditional love for self and others. It does not take you on journey but supports you with what you are focused on. In my wellness Cacao Ceremony the focus will be to connect to the spirit world and your spiritual guides. Helping to peel back the veil and therefore facilitating a stronger connection to non-ordinary reality and the Divine. You will have the option to take a full ceremonial 2 ounce dose, or if you choose a smaller amount. 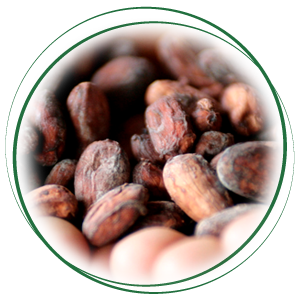 It is recommended that if you have high blood pressure or are taking anxiety medication you start slowly or choose not to take any cacao. Please use your best judgment. Once the cacao has been served we will go into a quiet time and gently move in an introspection space. After a short time and when the group is ready I will then drum while you enjoy a shamanic journey or if you choose you can continue to meditate. Vibrations from rhythmic sounds, such as drumming, are known to affect brain activity. Research shows that a steady 4.5 Hertz (Hz or cycles per second) for at least 15 minutes can help transport people who are journeying into altered states of consciousness. These 4.5 cycles per second corresponds to a trance like state of Theta brainwave activity that we may experience fleetingly as we are waking up in the morning. We will end the Wellness Cacao Ceremony by sharing our experiences, if you choose to, and setting an intention for the rest of the day. This event is held at Mary’s healing studio in Saint Louis Park, Minnesota. To sign up for the next ceremony go to the schedule and complete the sign up form. Wellness Cacao Ceremonies are 50 dollars.